Bernie Williams, Jr. is a Spanish Water Dog. She was born in Brooklyn at Casa Hidalgo. Bernie is named after the former NY Yankee center fielder #51 - Bernie Williams. 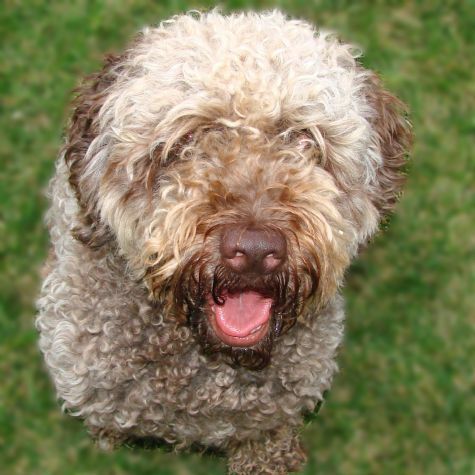 Spanish Water Dogs are a herding breed. They are known for their energy and commitment to their owners. Bernie is a happy and loving dog; she enjoys playing with her people and dog friends alike! She loves cheese; that is the only people food she eats. Her birthday is November 7th!